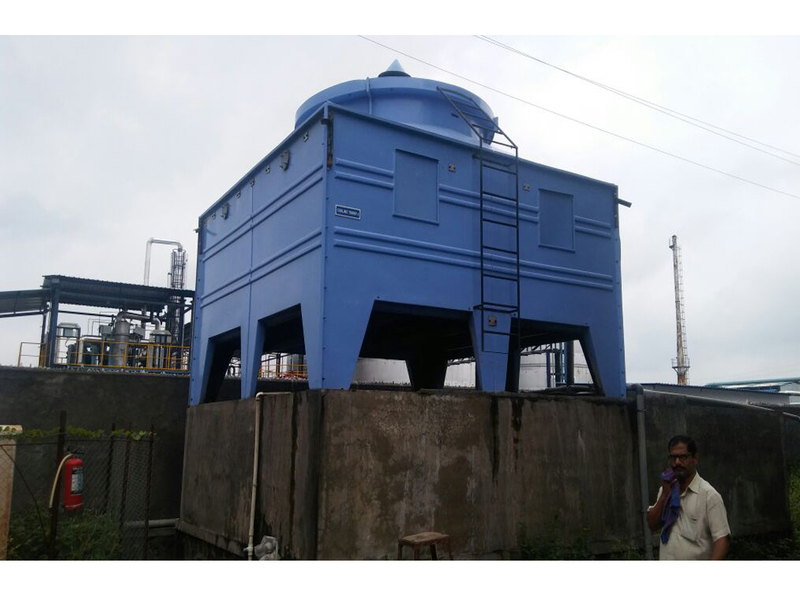 Incepted in the year 1990, we at National Cooling Towers an (ISO 9001:2015 certified company), (CTI -member company), (CE Certified) have become one of the recognized firmengaged in designing manufacturing and erection of an exclusive range of reliable, tailor-made Water Cooling Towers (FRP Induced Draft Counter Flow cooling towers). 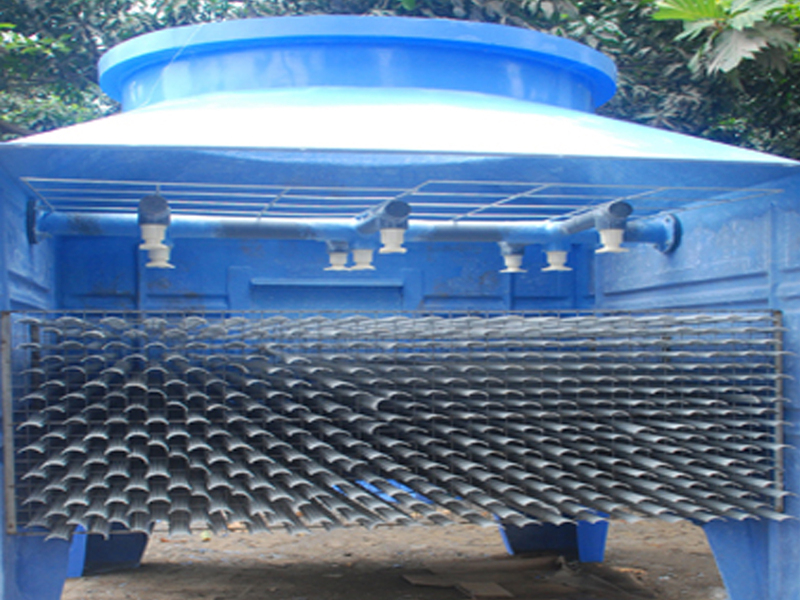 NATfONAL COOLING TOWERS are of vertical induced draft counter flow design. 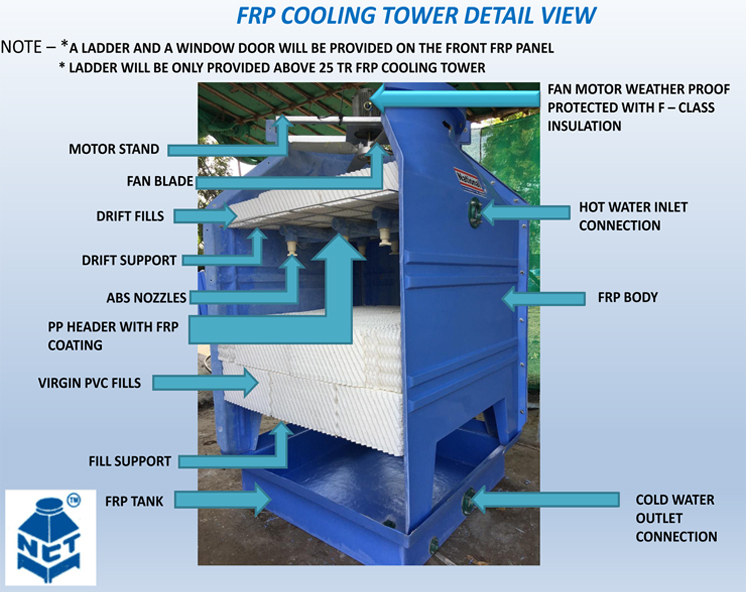 The tower ideal with regard space economy and cooling efficiency. The Body of the tower made of tough fibre glass reinforced plastic. 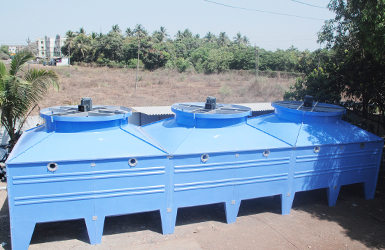 It has sufficient structural strength to withstand high industrial vibrations and velocity. It is resistant to local impacts and even if damage is sustained local repairs can easily be done. It prevents spray entrainment reduces carryover losses of water. The eliminator is of rigid P.V.C. 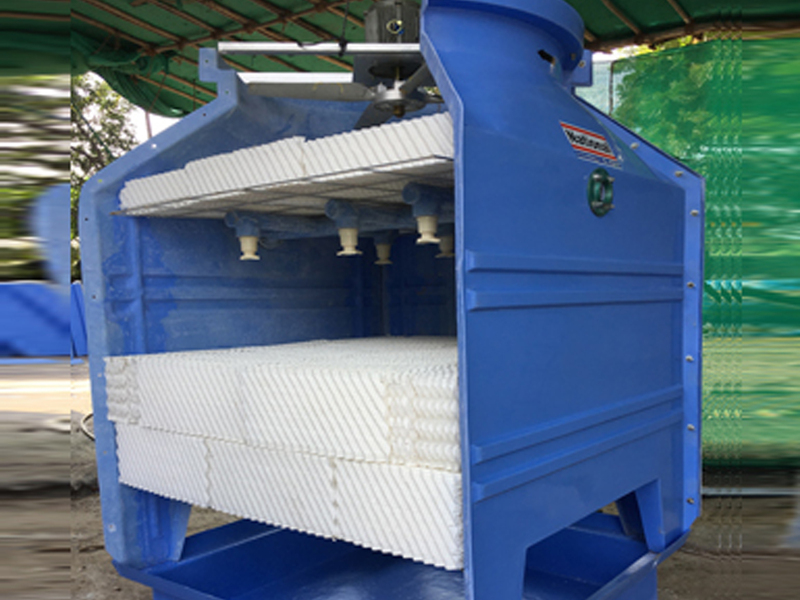 Corrossion resistant fill are of polyvinyl chloride in honey comb design. Fixed sprinkler with spray nozzles for uniform distribution of water over the till area. Nozzles are easily removable for cleaning through the inspection window. 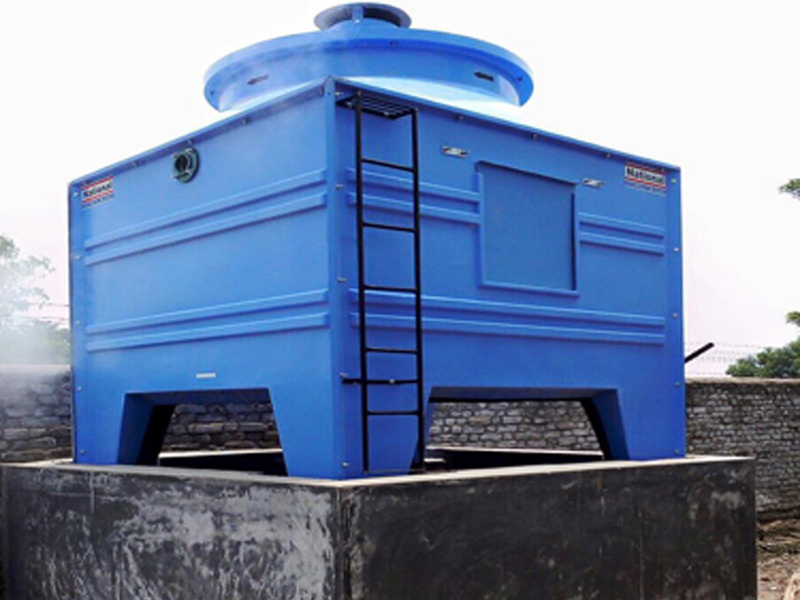 Easy operating window is provided to inspect from where water distribution and fill can be observed clearly. Any repairing can be done through the window. Smaller H.P. Motors arc used for the towers to make a great deal of difference in operating cost. Aiming to deliver quality product economical price. Considerable reduced because fan is the only moving part of the cooling tower. Fixed distribution system instead of rotating sprinkler which eliminates all bearing and frictional problems. 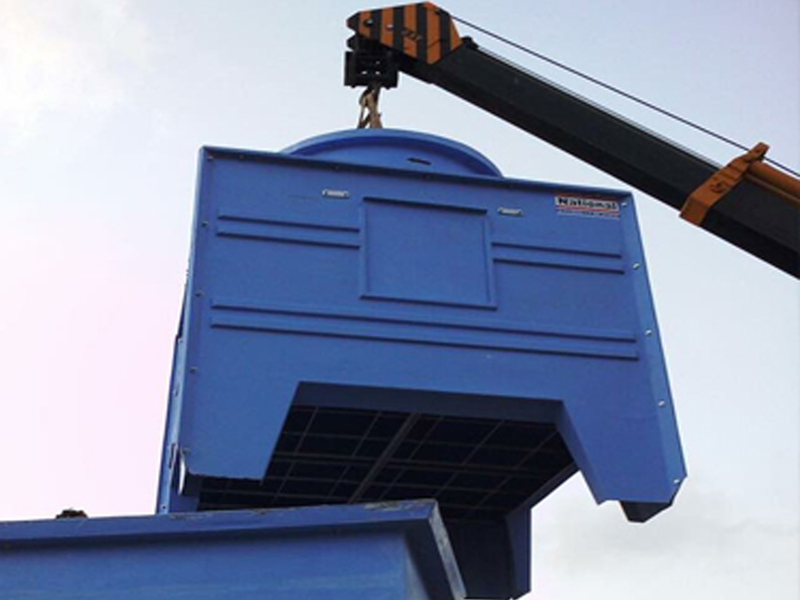 We undertake service contracts for maintenance /repairs of cooling towers.